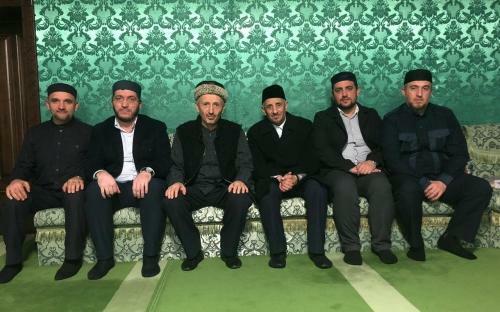 A scholar and theologian from Syria, the son of the famous alim Muhammad Said Ramazan al-Buti, Muhammad Tavfik al-Buti visited the Mufti of Dagestan, Sheikh Ahmad Afandi. 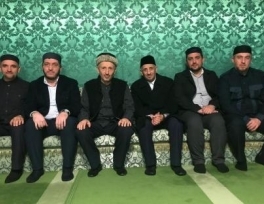 The guest of honor, who arrived in the republic to attend the Russia-Islamic World meeting, was accompanied by the head of the International Department of the Muftiyat of the republic of Dagestan, Ph.D. Shihabudin Huseynov. According to the press service of the Muftiyat RD, during a friendly conversation, the participants disscussed issues of bilateral cooperation, religious issues, the situation in the republic and in the world, issues of Islamic education and other topics. The parties stressed the importance of the valuable heritage that Muhammad Said Ramazan al-Butyi left behind.